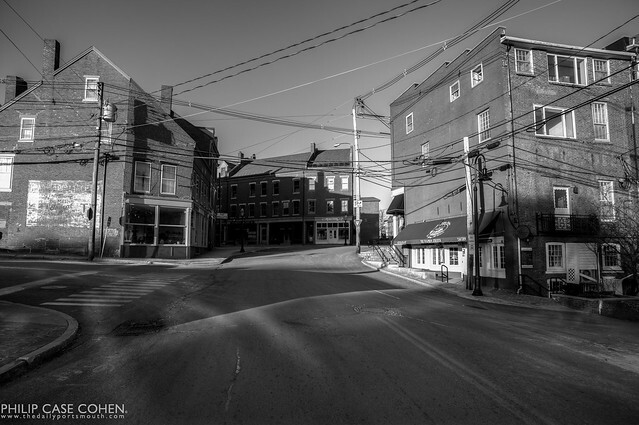 Bow Street is most frequently shown from the view at the top of the hill – where you can see the historic buildings that follow the curve of the Piscataqua River frontage. On a morning walk, I decided to capture what I thought was also a beautiful moment in time. It just so happens, that this view probably also hasn’t changed too dramatically in my lifetime – and maybe in decades. Downtown Portsmouth is an awesome place.